Sajid Khan had long informed that he would be remaking the Jeetendra starrer Himmatwala. The origignal film was a superhit at the box office and was an out and out masala film, starring Jeetendra and Sridevi. For his version of Himmatwaala, Sajid Khan has roped in Ajay Devgan and South actress, Tammannah to play the lead roles. After delivering 3 superhits at the box office – Heyy Baby, Houseful, Houseful-2, this would be Sajid Khan’s first film without Akshay Kumar. So let’s see whether Ajay Devgaan manages to be as lucky as Akshay Kumar to Sajid Khan. Himmatwala is set to release on 29th March 2013. The movie is co-produced by Vashu Bhagnani and UTV Motion Pictures. 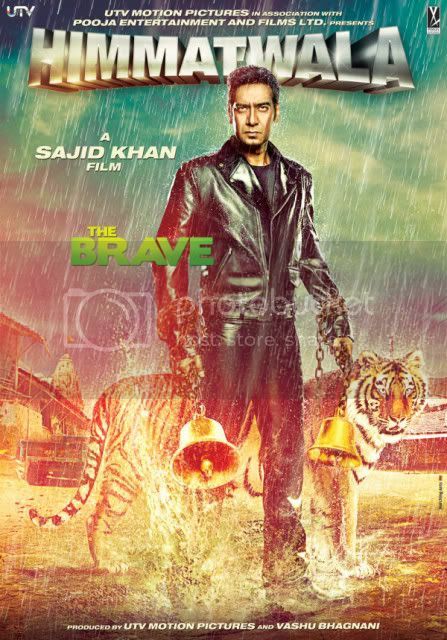 Share First Look – Ajay Devgan’s Himmatwala Wallpapers with your friends on Facebook.